Orange you glad we brought this to your attention? I play so many retro games week to week, and so few of them manage to accurately capture the feeling of playing those early NES titles. So when I sat down in front of a 90s TV set and was given a SNES controller to play the demo for Orange Island, I was captivated already. 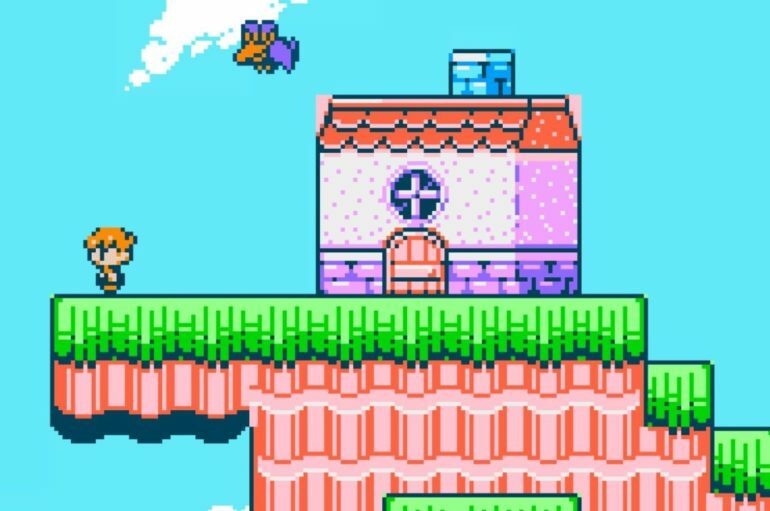 Orange Island is an authentic-style 8-bit 2D platformer. It’s a Metroidvania style affair, with a number of playable characters, each with their own abilities. The game has been made with modern tools, but to 8-bit specifications, so in theory it could be played on the likes of the NES or Master System, but Orange Island is more than just an 8-bit pretender. And just like those games of old, this pastel coloured platformer is a tricky one to battle through, with multiple enemies attacking at once, meaning you need to keep moving, but not go rushing in. Health can be recovered by visiting inns during levels, which are very welcome when they appear. Orange Island also features a wonderfully catchy retro soundtrack, which was a highlight of my time playing. While I didn’t experience much of the game, Orange Island will feature an emotional story, according to developer Ted Sterchi, separating itself from the retro nostalgia crowd. Orange Island is available to be wishlisted on Steam now and is currently scheduled for release in early 2020. Check out the rest of our Rezzed 2019 coverage here. We want a part of this game. The first ski resort tycoon sim is looking decent. Sorry but our headline game has been on fare lately.